How do you know which chemical peel is right for you? This is a good question. There is so much information available today, and so many different types of chemical peels out there and it gets quite confusing. But don’t let that scare you away from getting one. First thing would be to do some research on chemical peels in order to have a fundamental understanding of how exactly they work and what you can expect. 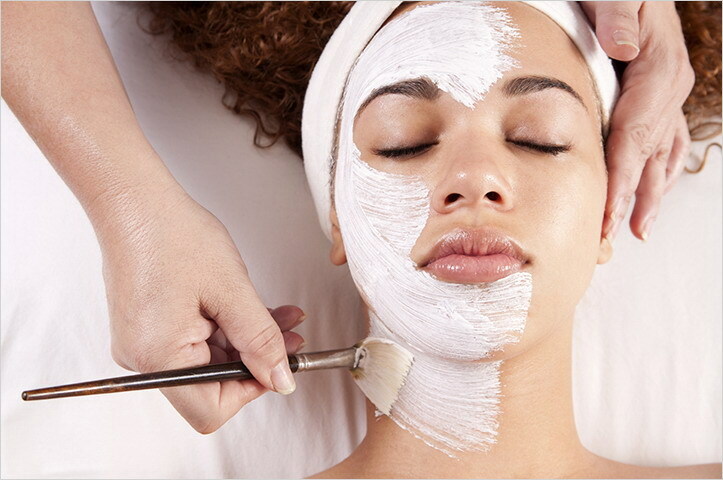 Secondly, you will need to decide on what you are considering the chemical peel for. Is it for age spots, acne, hyperpigmentation or even just to maintain a healthier and more youthful appearance. There are many different kinds of active ingredients in chemical peels that have properties that can be more beneficial to certain blemishes or skin conditions and it is important to know what exactly you are looking to do with the chemical peel. For example, glycolic will be more effective for wrinkles, age sport and fine lines and salicylic peels will be better for acne prone skin and oily skin types. Third, you should ensure that you start off with a less aggressive and lower strength peel, this is extremely important as you do not know what you skin is able to tolerate yet. And forth, ensure that you are getting a chemical peel that is buffered. Which means the PH has been adjusted. Otherwise the peel might be too aggressive for your skin and the risk is much higher. What kind of results can you expect from a chemical peel? The results that you may get from a chemical peel can vary depending on the type of peel you are getting. With superficial peels, they will only slightly reduce the signs of skin damage and aging and the results are quite minimal unless it is used in cycles and on a consistent basis. A medium peel is quite effective in reducing the signs of sun damage and fine wrinkles but it can also carry a higher risk and longer downtimes. With chemical peels you will always have the option of applying it in multiple layers in order to increase the effectiveness and intensity of the peel on the skin. A deep peel will noticeable tighten your skin and will eliminate any wrinkles and the effects are commonly more dramatic. To have deep peels repeated is not recommended. For more information on chemical peels and how they can improve your skin, visit the Fourways Aesthetic Centre website on www.fourwaysaestheticcentre.co.za.